Explore the creation of metal jewelry and small scale containers or treasure boxes by transforming sheets of copper, silver and brass. Learn and use techniques of sawing/piercing, etching surface patterns, hammering, soldering, riveting and three dimensional shaping. Learn to set a variety of stones, including cabochons and faceted gems. 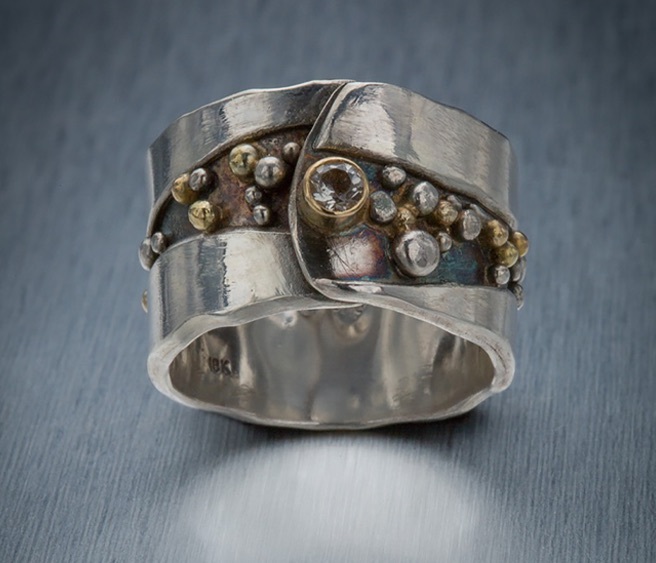 Debra Carus is a metalsmith and jeweler in Clackamas, Oregon. Her passion is for creating storied art jewelry that reflects her love of nature and her Norwegian roots. Debra is a full time studio artist and metals instructor. She is also a Senior Instructor for Art Clay World, certifying metal clay instructors and enthusiasts in the Pacific Northwest.